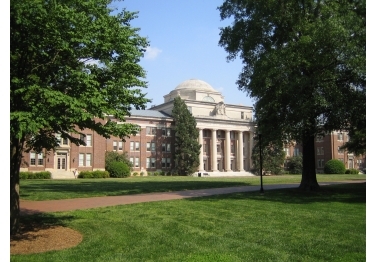 Davidson College is a highly selective independent liberal arts College of nearly 2,000 students located 20 minutes north of Charlotte in Davidson, NC. Since its establishment in 1837 by Presbyterians, the College has graduated 23 Rhodes Scholars and is consistently regarded as one of the top liberal arts Colleges in the country. As a highly respected institution, Davidson prides itself in having the best technology in place to support learning functions, student activities, and the needs of the faculty and staff. Since 2008, Davidson has seen the demand to provide wireless coverage on campus increase exponentially each year. Today, the average student at Davidson has 3-5 Wi-Fi Enabled devices, many of the faculty members carry iPads and iPhones, and the learning initiatives continue to move towards online testing platforms and multimedia delivered over wireless. Davidson tapped SecurEdge Networks based in Charlotte, NC to help engineer a wireless network solution that would help them support the demanding needs of their faculty, staff, and students. Davidson had some major challenges they needed to address. One of the biggest was that they had multiple wireless systems on campus. Davidson has a sprawling type of campus with a lot of beautiful outdoor courtyards and areas where students gather and do classwork outside. There was one wireless solution that was deployed to cover those outdoor areas. That same solution was used to shoot into the student residence halls utilizing an outside-in approach. The outside-in approach created some coverage challenges in some areas. 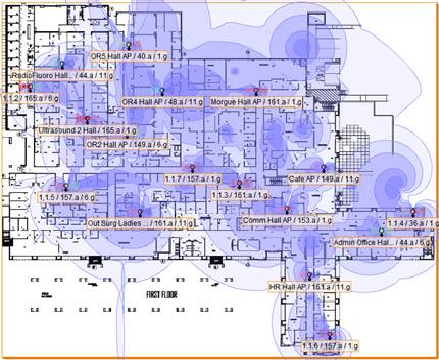 The academic buildings were covered by two other wireless systems that provided “hotspot” kind of coverage. With several different wireless systems to manage, a lack of complete coverage, and very limited wireless management tools it was very difficult to provide high levels of security for the different groups of users (students, faculty, staff, and guests) and to troubleshoot the many different types of mobile devices that were showing up on campus (iPads, iPhones, Android devices, etc.). Davidson wanted to provide support of all of those devices with the highest levels of security. SecurEdge Networks, a premier Aruba Networks partner, worked with the network group at Davidson College to put together a wireless system combining products from industry leader Aruba Networks with large campus design and wireless engineering services from SecurEdge. The Aruba Wireless solution provided Davidson a single management dashboard for all wireless users and devices regardless of whether the user is in a residence hall, academic building, outdoors, or even at a remote campus site. The Aruba Networks wireless solution was designed to provide complete coverage with a single interface for visibility and real time reporting. It even incorporates advanced features like Network Access Control (NAC) and high availability to ensure the network would always be up for those late night research papers and study sessions. What’s the future of wireless at Davidson College? Today Davidson’s ITS Department is looking at other advanced mobile technologies like streaming IP TV over the Wi-Fi network for the students, wireless video surveillance for safety, and Wi-Fi enabled communications for staff. A year from now who knows what type of mobile devices Davidson will use to improve services on campus. Do you need a complete, secure wireless solution for your campus? Wingate University Incorporates Global Learning and Latest In Classroom Technology Into New Pharmacy School. From Lecture Rooms To Conference Rooms, Every Corner Of The Building Is Ideally Suited For Distance Education And On-Demand Project Collaboration. This Provides Students With Access To Professors and Guest Lecturers Located Around The Globe. The newly constructed Pharmacy School combines the latest technology from Polycom and Extron to create classrooms that provide High-Definition video and audio communication and are easily controlled, via Touch Panel Controllers, from an instructor’s podium. Let’s start with the Basics. Each classroom is now equipped with a podium which will give the instructor the workspace they need and which will also serve as “command central”. There are three basic presentation tools connected to the system for use by the instructor, four if the instructor chooses to use his personal laptop. The three basic tools are a desktop PC, a DVD/VHS combo player, and a document camera. Each of these, including the instructor’s laptop, are easily selected from an Extron Touch Panel controller and upon selection the desired video and audio content will be displayed to the class. Need to connect multiple campuses from around the Globe? This can also be done using the same Extron Touch Panel Controller. With it’s simple user interface it only takes the touch of a button to bring the class into video conference mode. Each room utilizes a Polycom HDX 8000 codec and HD cameras to provide the ultimate room telepresence experience. This HD technology from Polycom includes not only HD video, but also HD voice with crystal clear stereo audio. Sharing HD content is also a part of this experience, allowing instructors to easily include rich content during a video call. There are three lecture rooms and two large distance learning classrooms located in the new Pharmacy School. Each of the five of these rooms includes all of the function and technology previously discussed. In addition to these rooms are a pharmacy practice lab and a physician’s assistance procedure classroom. Each of these rooms will include similar technology, with the telepresence option excluded. A Polycom HDX 6000 Telepresence system has been installed in the executive meeting room to allow High-Definition video conferencing. A Mobile Video Conferencing Cart using the same Polycom HD technology will be provided as a versatile video conferencing solution for any of the smaller training rooms in the building. One small conference room will be equipped with a laptop and DVD connection to an LCD display for basic small group collaboration. Five Training Rooms and eight Review Rooms will be utilized to train Pharmacy School students on how to interact with patients, in both hospital and pharmacy environments. These rooms will have IP cameras installed in them to capture the training sessions, for teaching and review purposes. 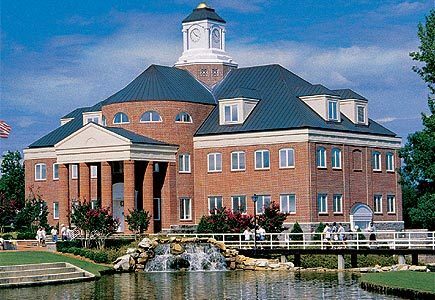 With our help, Wingate University was able to incorporate the latest classroom technology and global learning in their pharmacy school. Do you need classroom technology at your campus? Contact us for a free consultation and wireless design for your project. When Charlotte’s Mint Museum moved from its Randolph Road location to its new uptown facility its biggest challenges was to incorporate a secure wireless network. With the explosion of hand held devices, and the increase of mobile users, the Museum knew this was a good time to install a wireless system that could support current and future needs. The Mint Museum’s IT Services Group engaged SecurEdge Networks to design and install a wireless network solution that would allow them to provide connectivity throughout the new facility. This secure connectivity would be available for their employees as well as Museum Guests. SecurEdge Networks’ team of wireless engineers used various tools and experience to put together a wireless design. This wireless design implemented the newest wireless technology (802.11n), completely covering the new large Mint Museum facility with a secure wireless network. The new wireless technology that was installed will not only help the Museum with current wireless needs, but also future wireless services. Future wireless services include giving employees the ability to inventory exhibit pieces through handheld mobile devices, providing patrons with narrated audio tours and even a wireless hotspot, located in the Museum’s Café. SecurEdge Networks provided a secure wireless system with top of the line, above industry equipment. One of the advantages of the wireless network is a feature called “guest access”. Guest Access allows the Mint Museum a complete secured wireless infrastructure, meaning guest traffic on the network is separated from Museum employee traffic. This allows the Museum to easily track visitors on their wireless network and prevent malicious activity. 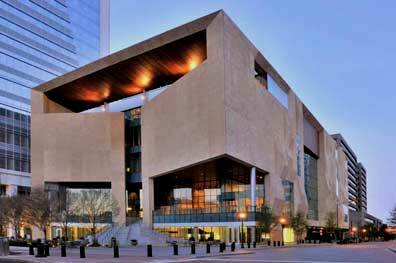 The Mint Museum in Charlotte has been open several months now at its new location. Stop by to enjoy some modern art and feel free to check-in online or tweet about your visit on the Mint Museums secured wireless network. Today's threat environment requires organizations to know everything that is happening on their networks and implement effective application controls. The joint solution of SecurEdge Networks with Palo Alto Networks provides customers the precision, actionable intelligence, and technical agility needed to respond proactively to any emerging threat. Internet traffic – including business applications, personal applications, SSL applications, port-hopping applications, web surfing, plus the many threats associated with all this – now accounts for the majority of traffic traversing enterprise networks. Unfortunately, traditional “port blocking” firewalls can only classify traffic based only on ports and protocols – not on applications. As a result, they are a completely ineffective security solution to manage the risks and rewards of today’s Internet applications across the enterprise. And that sets the stage for a significant disruption in a $5 billion global market. Palo Alto Networks has re-invented the enterprise network firewall, bringing a broad set of powerful innovations to a market that has largely been ignored by other vendors for the past 15 years. Palo Alto Networks™ next-generation firewalls enable unprecedented visibility and granular policy control of applications and content—by user, not just IP address—at up to 10Gbps with no performance degradation. Based on patent-pending App-ID™ technology, Palo Alto Networks firewalls accurately identify and control applications—regardless of port, protocol, evasive tactic or SSL encryption—and scan content to stop threats and prevent data leakage. Enterprises can for the first time embrace Web 2.0 and maintain complete visibility and control, while significantly reducing total cost of ownership through device consolidation. 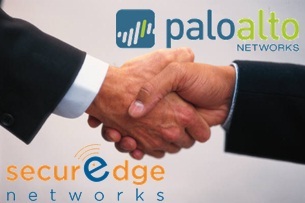 SecurEdge Networks partnership with Palo Alto Networks will allow SecurEdge to provide customers with the best of firewall technology, not just to protect against threats but stop threats and prevent data leakage. Interested in the Next Generation Firewall? Contact us for a free demo or more information. Charlotte, NC, March 30, 2010- Secure Edge Networks has launched a program to help K-12 schools in North and South Carolina fund high speed Wireless Network Deployments by helping with the wireless design and process of navigating through the E-Rate program. The program is intended to ensure that schools and libraries have access to affordable telecommunications and information services. Discounts received depend on the level of poverty and the rural/urban status of the served population. Discounts can range from 20% to 90% of eligible services. Libraries, schools, and school districts that are eligible may apply as part of a consortium or individually. Secure Edge works with school systems to perform a Wireless LAN Site Survey, complete Wireless Network Deployment, and design Wireless LAN Management that can be funded under the Internal Connections category of the E-Rate program. Schools today have a significant need for high speed internal connections to cover both indoor and outdoor areas on campuses. Programs such as the 1:1 initiative mean that each student will eventually be working on a laptop using internet intensive learning applications. The cost of deploying copper and traditional wired connections is significant, so many schools are opting for a high speed 802.11n wireless solution to provide the most flexibility and cost savings for their schools. © 2010 Secure Edge Networks, LLC. All rights reserved. Offers are subject to change without notice. If you're part of a K-12 school in North or South Carolina, you may qualify for a free wireless plan. © 2014 Secure Edge Networks. All rights reserved.